If anyone asked me if I ever wanted to become a teacher, I would have answered with a resounding NO.. not ever. The things children inspire you to do. 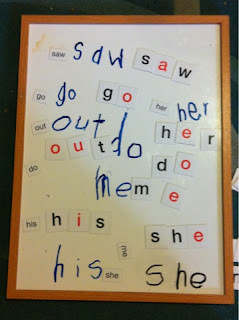 With my son's history of hearing issues and speech delay I am ever conscious of his literacy knowing that phonics can be an issue for those who struggled with glue ear especially. 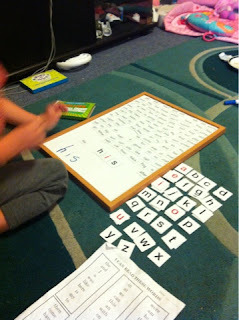 This is an activity that I did with Josiah to help him with his sight words. What you will need to do this activity is a whiteboard (and markers) and magnetic letters and words I bought mine from Scholastic Book Club. You change this to suit what tools you have at home. First step is I got Josiah to find the words. Not sure if you can see on the whiteboard there are small words. I told Josiah the word he had to find and he then had to find the word, don't worry after the first go we dramatically reduced the amount of words on the board :). 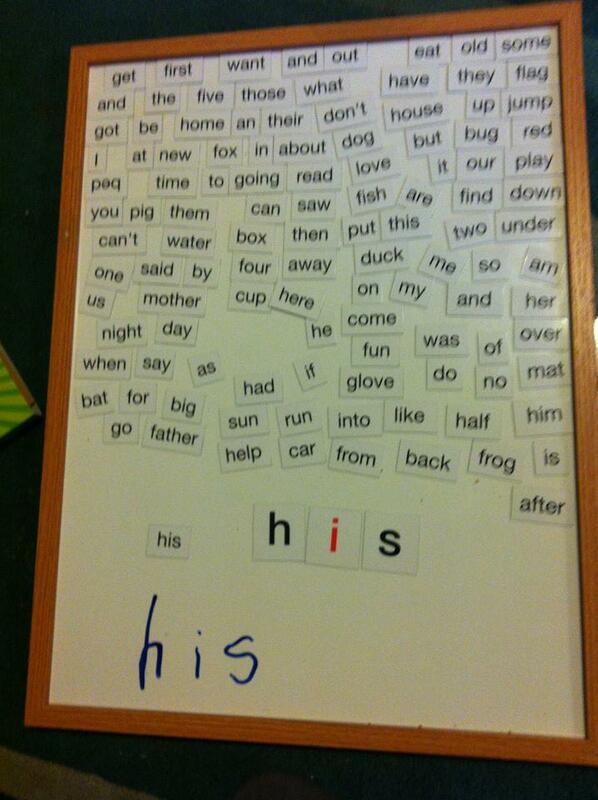 Once he found the word, he then found the letters to spell the word, the letters you can see on the right. Last Josiah would then spell and write the word on the whiteboard. Amazingly I have this strange child who actually likes to do this type of stuff, he has a passion for learning, reading, writing this I am grateful for everyday. This is the final product.. he was a little exhausted mentally after all of this, he was happy with just one game of this.